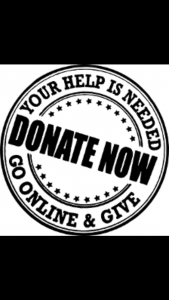 My passion is feeding the less fortunate. It is cold in Atlanta and I wanted to make sure that I was able to provide a warm and nutritious meal. Nothing warms my heart more than to make sure that I can lift this offering up to those in need. Just to see the look on their faces and know that I have reached them in some way is the most amazing feeling. I have many that recognize and remember me and this alone makes it all worth while. They are always so excited to get the Gourmet lemonades that I serve and feel like this is Christmas in many ways for them. 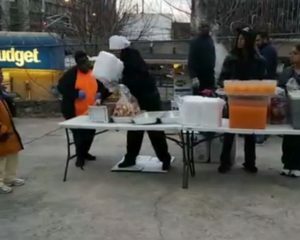 I fed around 450 people on Saturday Feb. 3rd at the Safe House Outreach in Downtown Atlanta in the parking lot. We cooked on spot and served fried fish, French fries, rolls and our gourmet peach lemonade. It was 36 degrees and if it had been 33 degrees or colder these folks could have gone into the shelter to keep warm and eat. 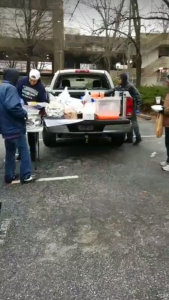 Its very sad that they had to eat in the cold with no place to go.